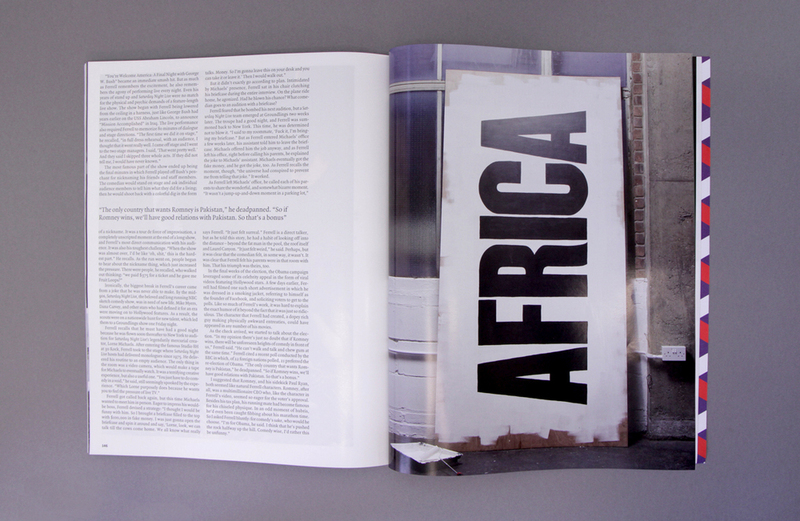 We were commissioned to paint seven typographic signs to act as section openers in the publication. 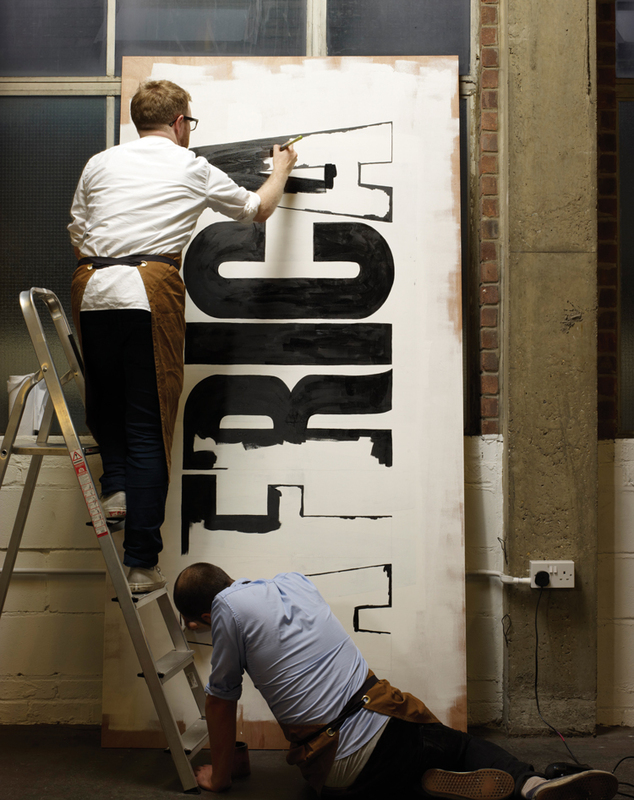 We spent a day in photographer Thomas Brown’s studio painting the seven titles on top of one another on a single wooden board. We painted them in order, leaving a slight ghost of the previous title in each photo. We also produced a video, 'Atramentum', to show the process. – Atramentum or atrament, generally means a very black, usually liquid, substance.